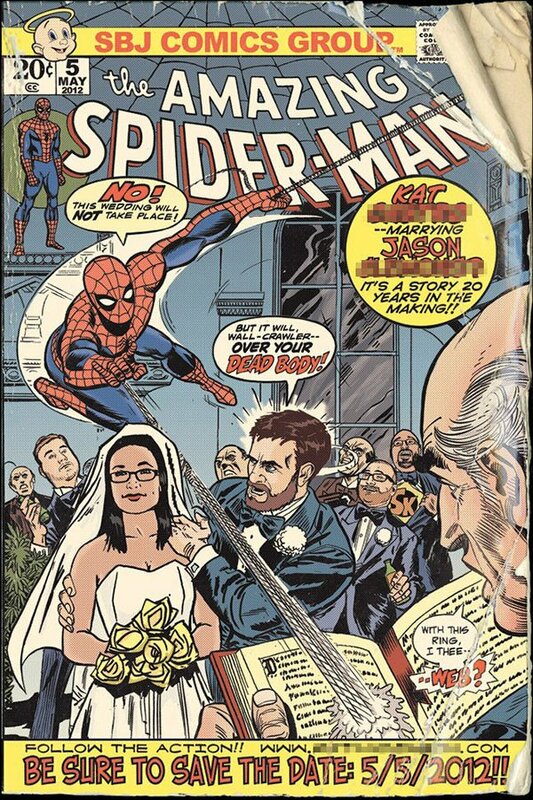 Redditor jwc1138 came up with an astonishing save the date for his wedding, using his spectacular drawing skills to integrate his and his fiancé’s face into the cover of a Spider-Man comic. 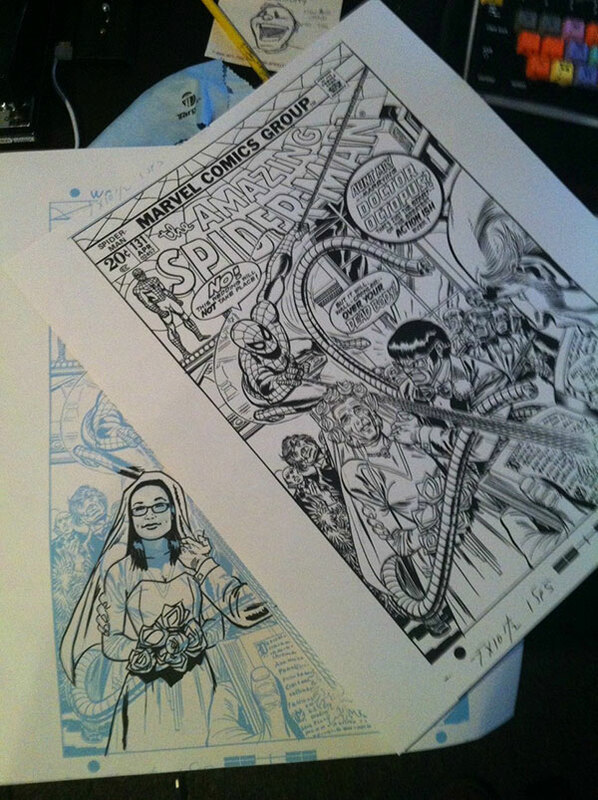 Short of wearing a Spidey costume to the wedding, I think it’s the ultimate display of geekiness from an amazing comic book fan. 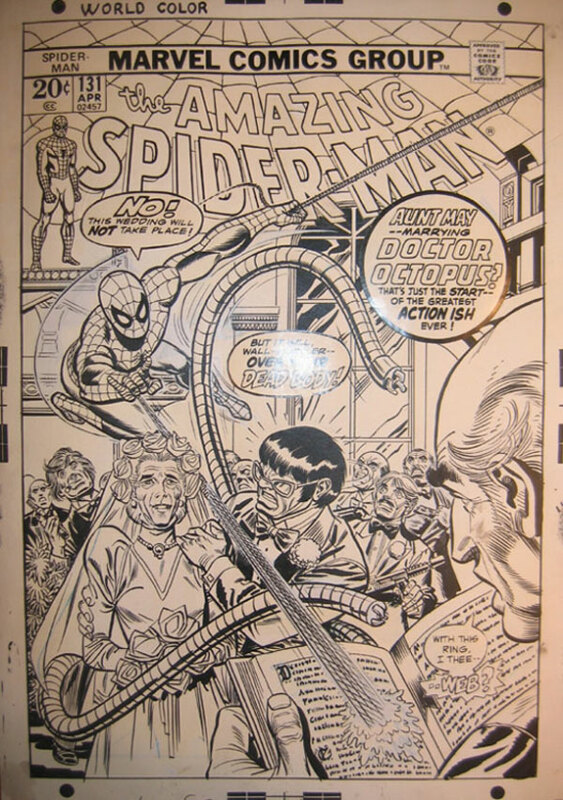 The art is based on the cover of the Amazing Spider-man #131, drawn by Gil Kane and inked by Frank Giacola. 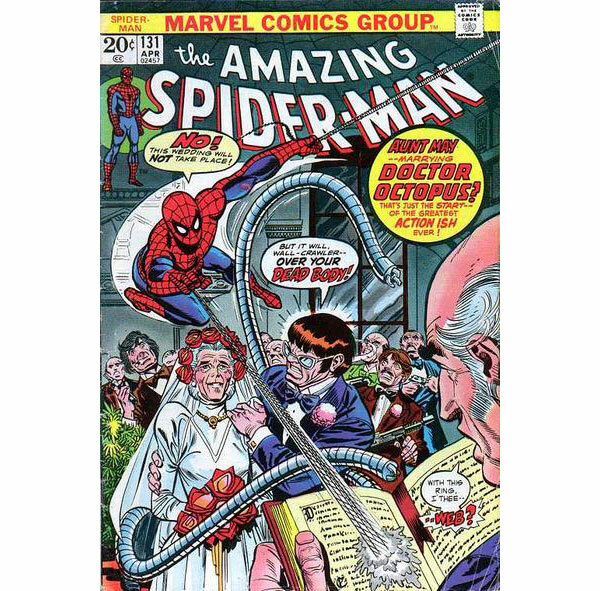 It featured a sensational plot which saw Doc Ock marrying Aunt May. He also shared the picture below as further evidence, showing how he drew in his fianceé, himself as well as his groomsmen, thus avenging his loss to the mysterious impostor. Jason left ol’ Spidey in the save the date of course. I wouldn’t mind having him interrupt my wedding either. On second thought I would. 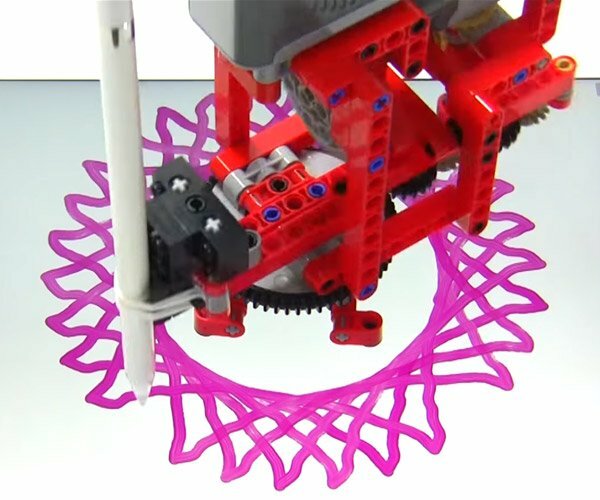 Great work Jason! 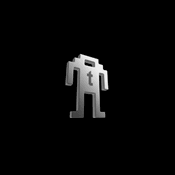 May you get unlimited karma.